Cleanse in the morning and evening. Moisten face and neckwith warm water. Include décolleté if desired. 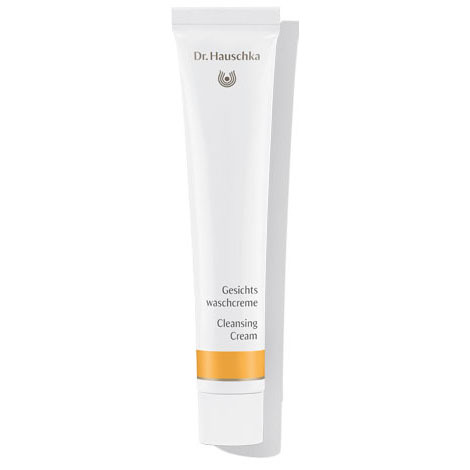 Mix 1-2 cm (1/2 inch) of Cleansing Cream with water in the palms to form a smooth, creamy paste. Press gently into the skin with a rolling motion, starting in the centre of the forehead then slowly working outward and down. Use gentle movements. Do not rub–this is not a face scrub. Avoid the eye area. Dampen your hands again. Repeat several times. Rinse with plenty of warm water then finish with a splash of cool, fresh water. For sensitive skin use warm water only.